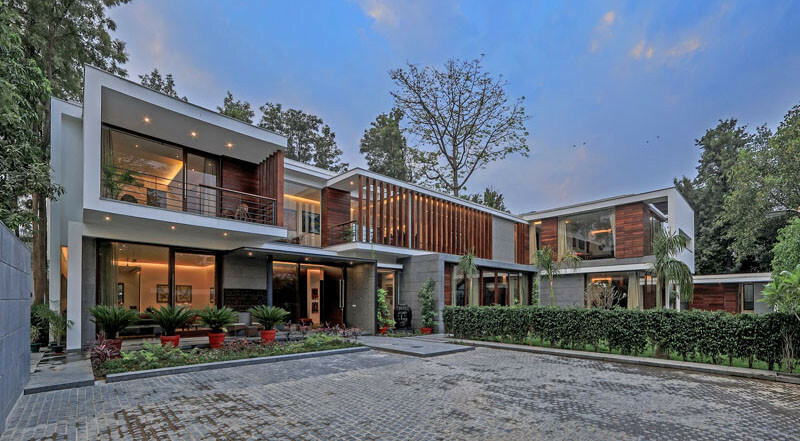 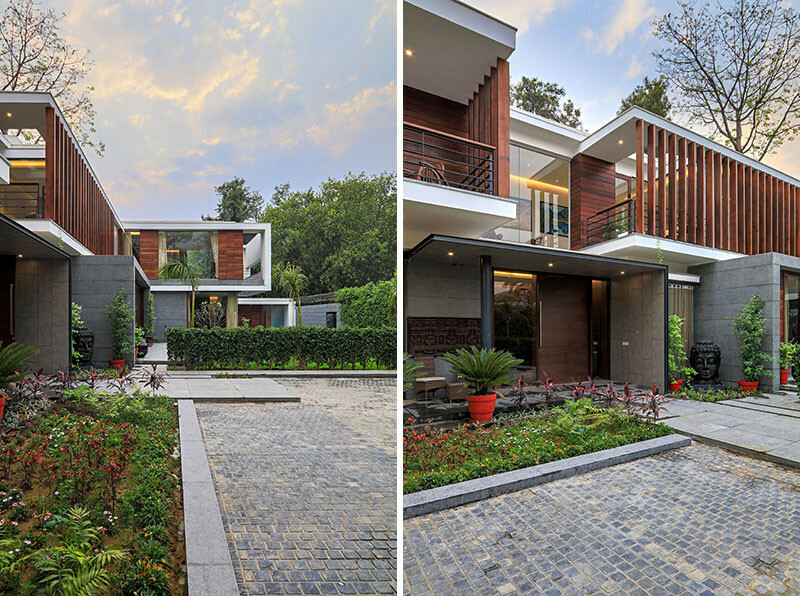 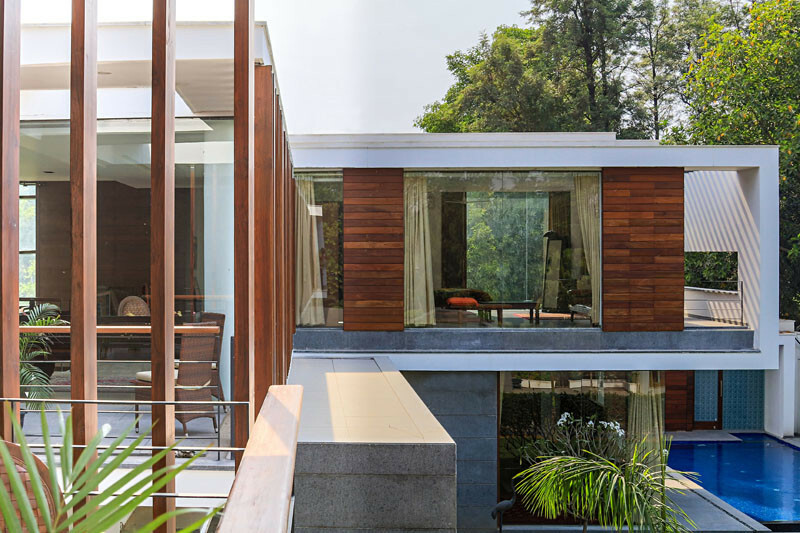 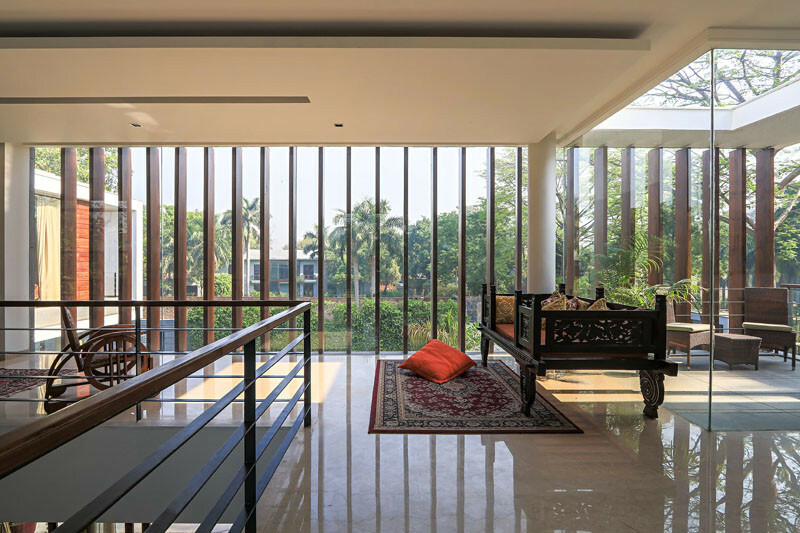 Architecture firm DADA & Partners have designed a new house in Chattarpur, India. 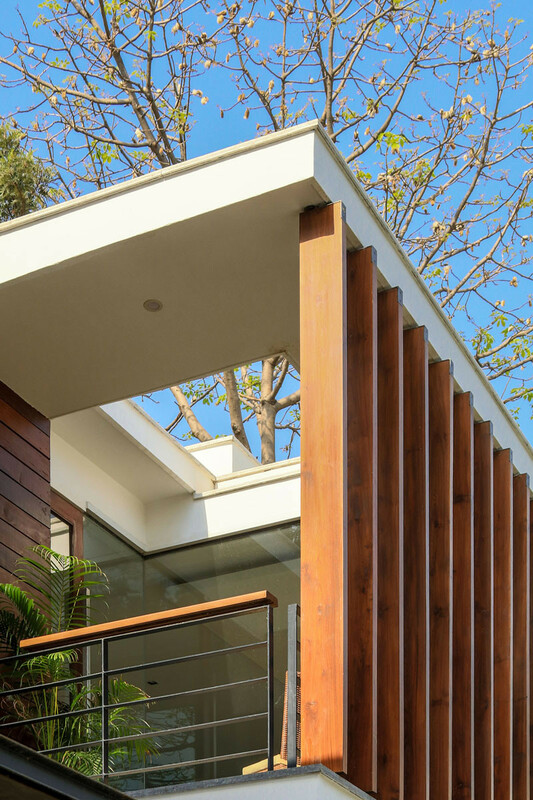 The home, which is surrounded by a quarter-acre of land, features a palette of wood, white stucco, and granite. 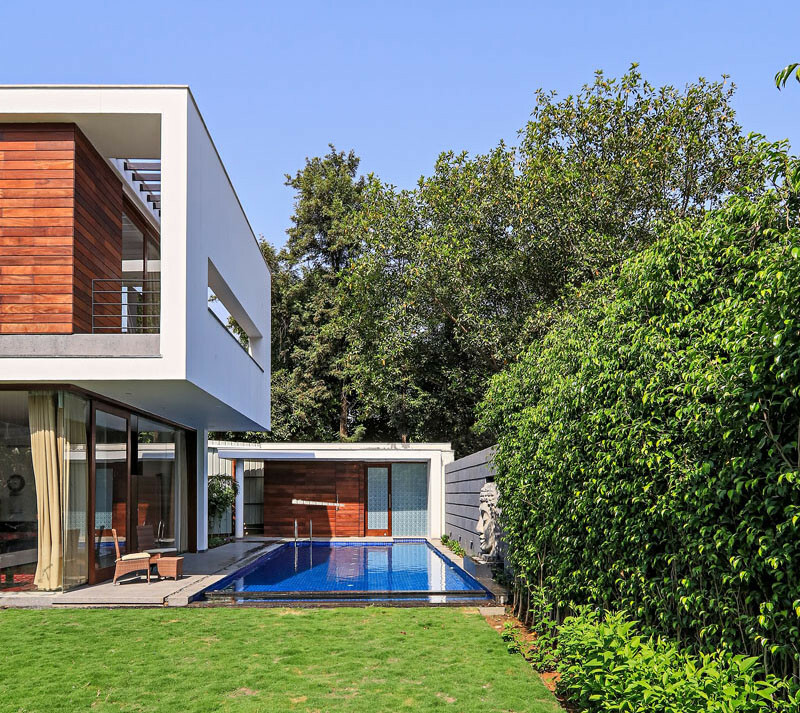 A swimming pool is tucked away at the side of the house. 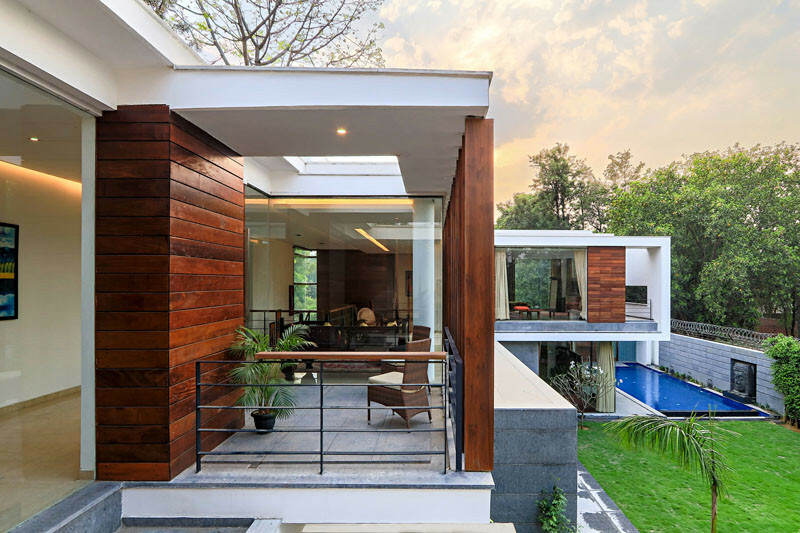 Hardwood battens create a screen for the upper corridor. 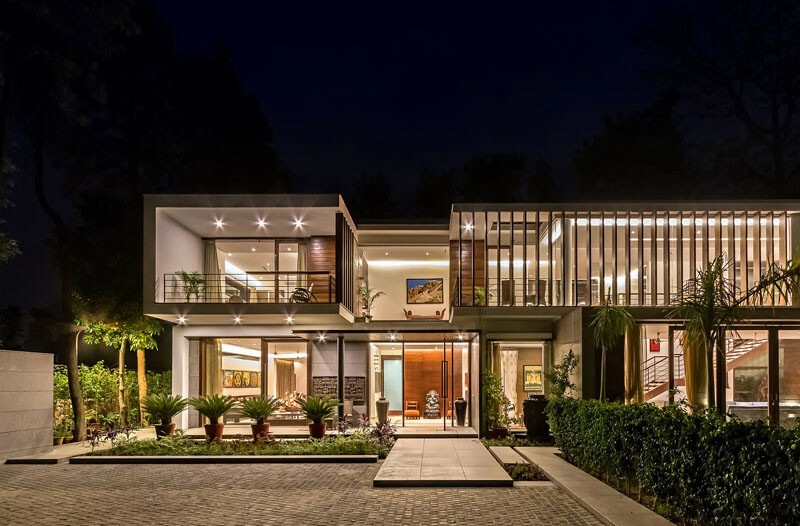 The multi-level home has the dining room, master bedroom, and family room on the ground floor, with the upper floor providing a more relaxing lounge area, with various seating areas. 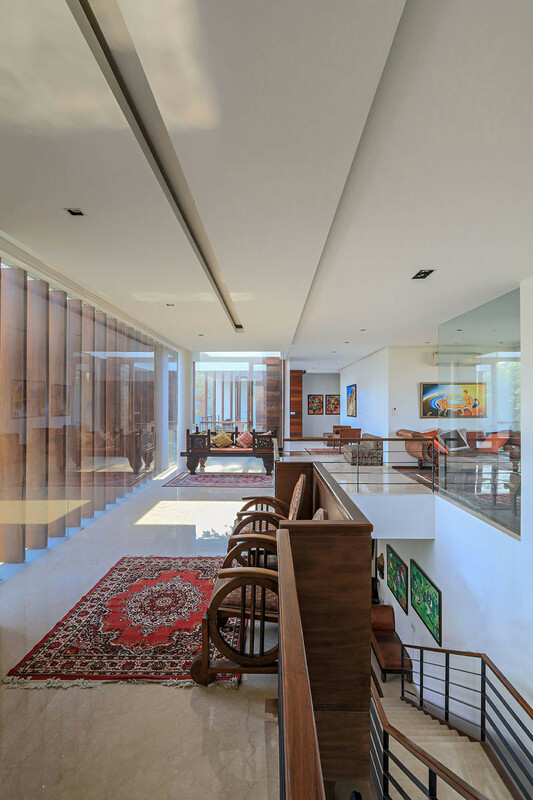 Inside, there are white walls with plenty of room to hang artwork. 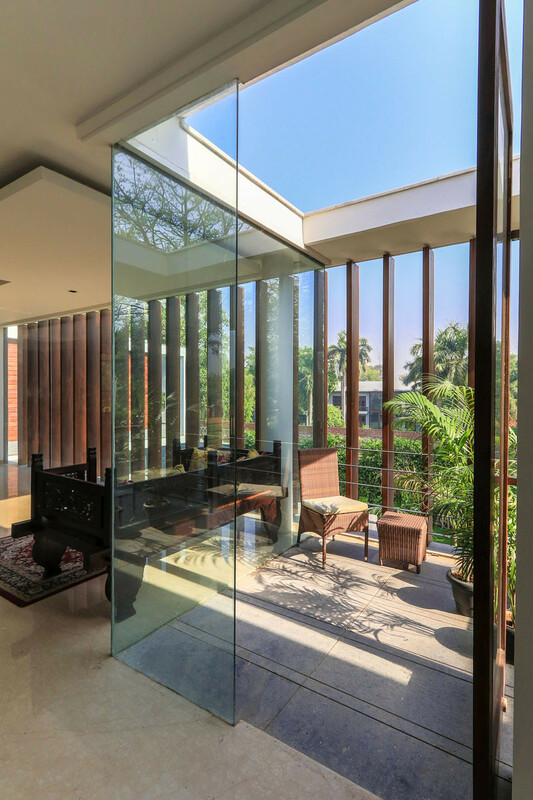 There’s also a small semi-enclosed sunroom.